thus offering an uncommon intimacy and privacy to your stay with us. We offer a variety of hunting options tailored to guests who are eager for a sun-up to sun-down full day of excitement, that is had on over 3,000 acres of the diverse terrain of piney woods, crop fields and thickets that make up our carefully managed quail habitat, to those who prefer a laid back half day upland hunt that allows for kicking back, relaxing, sippin’ sweet tea and “shootin’ the bull”. Our “unlimited bird” quail hunts allow shooters to relax without counting birds and considering extra fees for above limit birds shot. For those seeking another great windshooting challenge, we offer European-style Tower Pheasant Shoots as well as half day Quail Hunt/Pheasant Shoots. 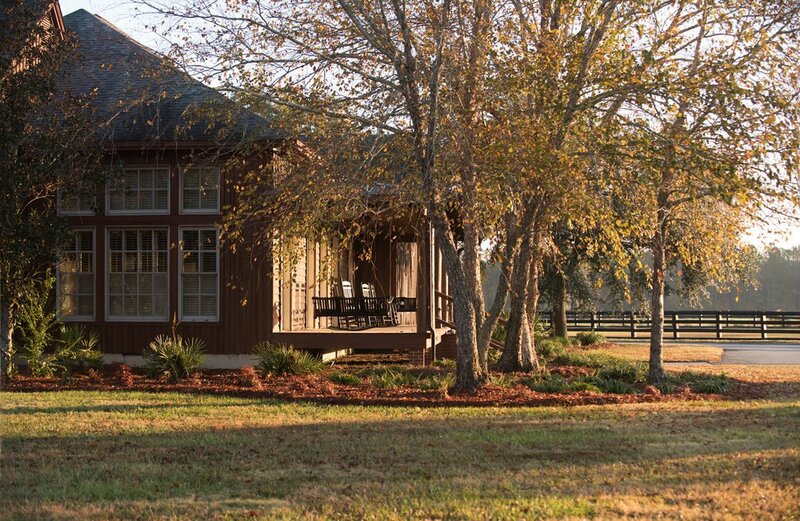 Whatever you desire, Shadow Oak Plantation has an option that fits. Only Shadow Oak Plantation can rightfully brag of being home to the world’s most famous English setter, Champion Shadow Oak Bo, twice winner of the National Bird Dog Championship in 2013 and 2014. 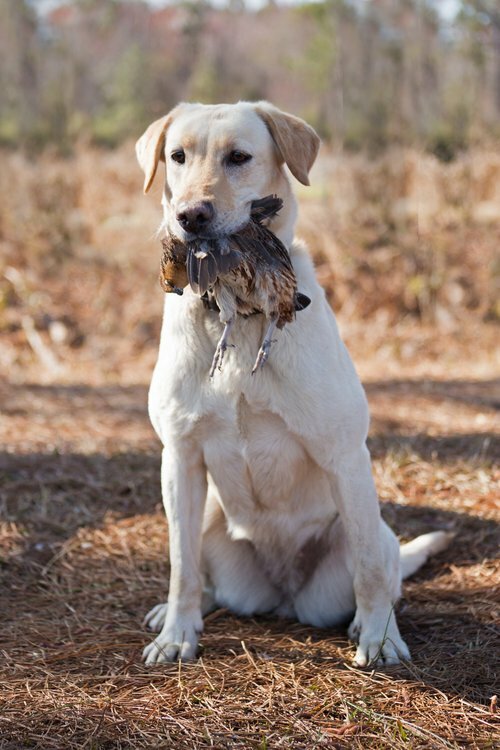 The grueling three-hour test of a bird dog’s mettle, first conducted in 1896 is held on the Ames Plantation in Grand Junction, Tennessee each year in early February. 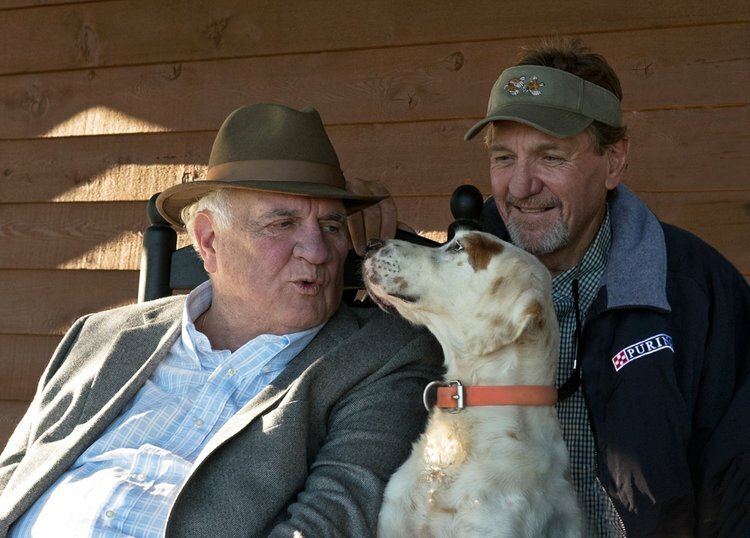 Call name “Bo” not only won the title twice for his acclaimed field trial trainer and handler, Robin Gates and his owner, Butch Houston but caused a sensation in the bird dog world by being the first English setter to win the title in 43 long years! In 1970, the setter Johnny Crockett won the title for his owner/handler W. C. Kirk. 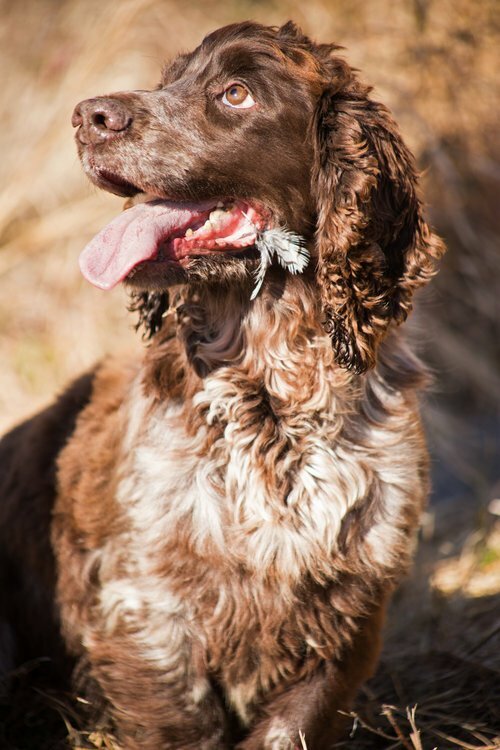 No English Setter had won the National back-to-back since the great female Llewellin Sioux won it in 1901 and 1902. Since Johnny Crockett’s win, the few English Setters that qualified to compete were bested by Pointers to the dismay of setter fanciers around the country. Congratulations to Shadow Oak Plantation owner N.G. “Butch” Houston who has been elected to be inducted to the Field Trial Hall of Fame. The Induction Ceremony, in which a scroll will be presented to Butch, takes place at the Bird Dog Museum in Grand Junction, TN just prior to the 2018 running of the National Bird Dog Championship early next February. Go on safari with peacocks, ostrich, emu, zebras, blackbuck antelope, Ankole Watusi cattle, buffalo, fallow and red deer. Wondering around the beautiful grounds surrounding the main Lodge and Bunkhouse, you will no doubt take notice some of the other birds and animals that reside at Shadow Oak Plantation. 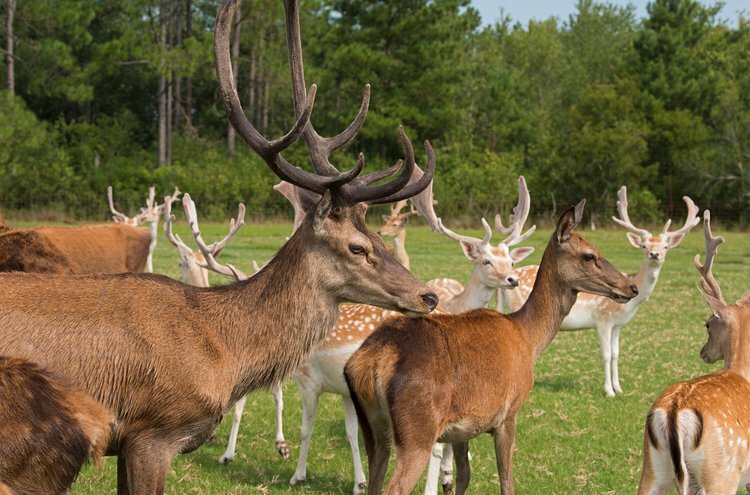 Providing a mini safari for photography enthusiasts or non hunting guests, Shadow Oak Plantation boasts a large collection of exotic animals protected in our wildlife refuge.